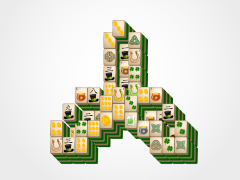 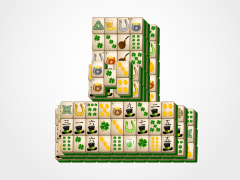 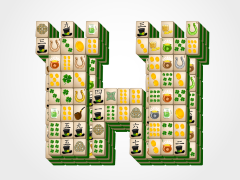 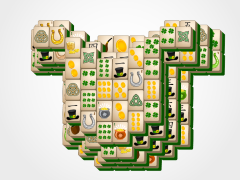 Pairs of St. Patrick's Day mahjong tiles are to matched at a time, and they will then disappear from the mahjong board. 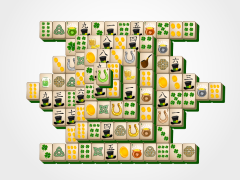 Match all these tiles and you will win this fun game. 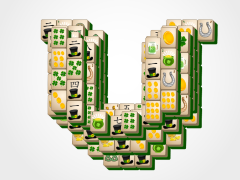 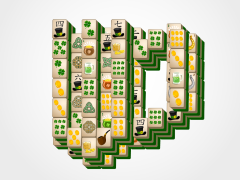 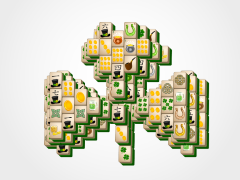 Lucky four leaf clovers will fall from the screen when you are a victorious St. Patrick's Day Mahjong player! 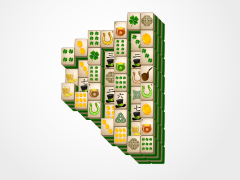 Look at the end of the mahjong rainbow for this bounty of gold in the Pot o' Gold Mahjong. 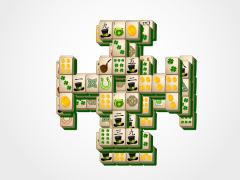 We'll be your leprechaun as we lead you to St. Patrick's Day Mahjong for the wealth of genius and enless fun each and every day!